Dental implants are one of the most effective and efficient ways to replace a missing tooth or teeth. At PDADental in the Financial District, Lower Manhattan, the expert team of dentists offers dental implants for men and women of all ages. Residents from in and around New York can benefit from these restorations that can improve your smile and the function of your teeth. Call the office or book an appointment online today to learn more. Dental implants are a viable way to restore a smile with missing teeth. Implants feel and function just like your natural teeth and are used to replace those lost due to decay, injury, or illness. An implant is a metal post that the doctors drill into your jawbone. This artificial tooth root affixes to an abutment, which can then hold a custom-made crown that looks and feels like a natural tooth. The implants fuse to your jawbone so they are strong and stable. They don’t shift in your mouth as do conventional dentures. Implants can replace one tooth or multiple teeth. Implants can also be used to hold a series of dentures if you have a row of missing teeth. A dental implant is applied during an in-office, outpatient appointment. You’re placed under local anesthesia and the dentist installs the implant – the metal post – into your jaw beneath your gumline. You’re sent home to heal, usually for several weeks or months, before the next steps in the process. During this healing time, the bone fuses around the post to create a stable foundation. Once the healing process is complete, you return to the office and the dentist applies an attachment post – or abutment – and crown over the implant. 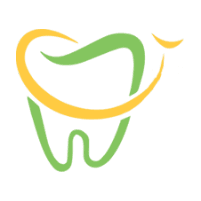 The crown is designed to match your natural teeth and fits your bite and coloration exactly. Dental implants allow you to smile confidently, boosting your self-esteem. As long as you have healthy gums and a fully developed, solid jawbone, you’re a good candidate. Even if you have some gum or bone issues, the dentists at PDADental might be able to offer gum or bone grafts that could make implants a possible option for missing teeth. Implants can last a lifetime with good oral hygiene. To find out more about how implants replace missing teeth, call PDADental or book an appointment online today.